This entry was posted on Saturday, April 14th, 2012 at 2:54 pm and is filed under Barn, Farming, Homesteading, Self-Sufficiency. You can follow any responses to this entry through the RSS 2.0 feed. You can leave a response, or trackback from your own site. 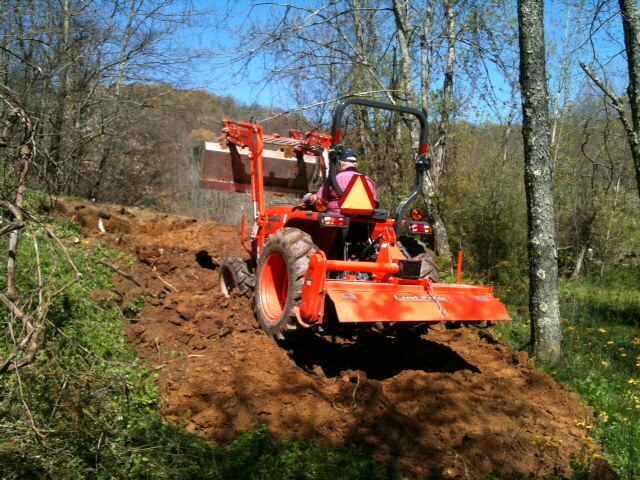 my brother inlaw is good on a kubota tractor. I can’t seem to get the nac of grading. The road looks kinda steep, I reckon he isn’t finished. Actually it was close to being done in that pic. 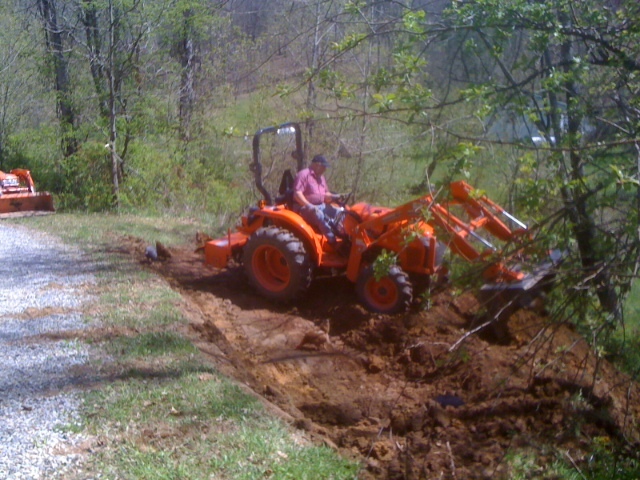 It is not a car access but more for being able to get the tractor and bush hog down there.